mary quattlebaum shivers ye timbers! 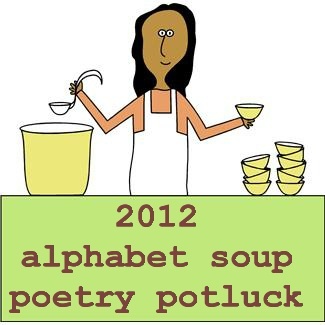 #3 in the Poetry Potluck Series, celebrating National Poetry Month 2012. Ever wonder what pirates eat? Mary’s prized booty includes a poem about her favorite grog and — *wait for it*— Pirate Pie! I’d sail the high seas for ye, me crusty beauty. Arrrrrrr! Mary: Hot cocoa ranks up there with hot tea as my beverage of choice. I can drink it all year long! My mom always made it just as the poem describes, and I continue that tradition even though there are many “just add water” brands available today. And because I grew up in a family of seven kids, when Mom made cocoa, it was always like a party. ~ from Winter Friends, copyright © 2005 Mary Quattlebaum, published by Random House. All rights reserved. When I visit schools, I often dress as a “book buccaneer” when I share my picture book Pirate vs. Pirate. Pirates of old ate a lot of (yucky) hardtack, but when kids ask what, as a pirate, I really like to eat, I tell them that my favorite foods all begin (coincidentally!) with the letter ‘p’: popcorn, peanut butter, peaches, and pie. This Pirate Pie recipe is for my very favorite kind of pie. An apple pie with an arrr-some blend of fresh apples, sour cream, and streusel topping. My best friend from college shared it with me about 25 years ago and I think of her whenever I bake it. Mix all topping ingredients. Should form large clumps. Combine filling ingredients. Spoon into pie crusts. Bake for 10 minutes at 450 degrees. Reduce oven to 350 degrees and continue baking until filling is slightly brown and puffed (about 40 minutes). Spoon topping over pie and bake another 15 minutes. Mary Quattlebaum loved playing pirates, reading ghost stories, and fishing in the family pond when she was a kid. And pirates, ghosts, and a pond are all featured in her new picture books Pirate vs. Pirate, Jo MacDonald Saw a Pond, and The Hungry Ghost of Rue Orleans. Mary’s earliest memory is of her father reciting nursery rhymes to her and her six siblings when they were little, and one of her favorite books remains a childhood Christmas gift, The Golden Treasury of Poetry, edited by Louis Untermeyer. Mary is the author of 19 children’s picture books, books of poetry, and novels, and a popular presenter at schools and conferences. Her books have received awards including the Marguerite de Angeli Prize, Parenting Reading Magic Award, NAPPA gold medal, and Bank Street Best Book and been selected for numerous state Children’s Choice lists. Previously: Menu/Giveaway/Door Prizes, April Pulley Sayre. ♥ Click here for an updated list of Kidlit Poetry Month Events. Mary and her husband make great pirates, and her poem makes me want to fix some cocoa immediately (and serve it with a slice of pie)! They are the best pirates! Mmmm, cocoa and pie . . .
Glad you’re lovin’ it, Libby. Appreciate all your enthusiasm (and drooling). It’s fun putting these posts together — so many different personalities and poetic styles. Pirate vs. Pirate looks great–going to have to check it out. Would be fun for teachers to pair Mary’s book with David Harrison’s Pirates (one of my favorite poetry collections of recent years). Lovely cocoa poem (I’m a hot chocolate fiend all winter). Oh, I’ll have to look for David’s pirate book. And I added your PM haiku-a-day link to the roundup. I could have sworn I added it yesterday and it disappeared! So I put it back in today :). I’m knocking! Are my cocoa and pie ready? This was just perfect for a chilly morning. Looking forward to reading more of Mary’s work! Thanks so much, Jama! I’m looking forward to noshing with all your poets this month. Thank YOU, Mary, for bringing a lot of fun to the Potluck! That pie sounds amazing. Mary is a huge supporter of new writers — it’s must be that hot cocoa tradition of welcoming people in. Yes, it does sound like the hot cocoa has something to do with it :). And I’ve always loved her last name. You’ve got me craving cocoa, and I’ll take a slice of that pie too, please! Fun day at the potluck! Btw, I grew up one of seven, too. Wow, another big family. Your mom had to make a LOT of cocoa in her time, I bet. Another piece of pie coming right up! Fantastic! 🙂 I definitely want to try to bake the pirate pie! Loved the hot cocoa poem! Thanks for sharing! When you bake the pie, don’t forget you have to talk in pirate speak :). Pie …. yum …. pie. The pie will be something great to make for my grandson, an apple pie lover through and through! And love that cocoa poem, especially “serve lots”. Thanks for all the pirate stuff, but especially that great pirate photo. You make an interesting pirate, Mary! Thanks Jama! I can tell your grandson is my kind of guy :). Both Mary and Christopher look smashing! Must be fun to have a theatrical spouse. A great place to start is to use a frozen crust, because basically the fillings are pretty simple. Once you’ve done that, you’re bound to want to move onto making your own crusts — actually you could try making crumb crusts first before attempting a shortcrust that you have to roll out. Mmmm…. and if the crust doesn’t turn out just right, I don’t think the crusty pirates will mind. Especially if they have a swig of cocoa handy. What a fun, pirate-y post! Thanks Jama and Mary. Drooling is highly encouraged, as is a good appetite! Thanks for noshing with us today :). Thanks much to everyone for all your thoughts on pie, poetry, and pirates. Wishing you an arrr-some National Poetry Month.